Choose a name for our Dog for Charity! Turn on the TV and within minutes, chances are good you’ll see an ad for cheap auto insurance. 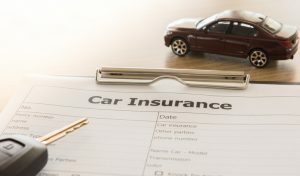 Companies are urging you to take only fifteen minutes or use a magic pricing gun to save money by getting cheap auto insurance throughout Connecticut. But is really cheap auto insurance a good idea? Smart consumers instead should ask “what’s the best insurance value at the best price?,” NOT “what’s the cheapest auto insurance?” Cheap auto insurance can leave you and your loved ones dangerously exposed to financial disaster if you or someone else covered by your policy is in an accident with an uninsured (or underinsured) driver. Chances are good that the reason that person didn’t have the proper coverage is because they bought cheap auto insurance which leaves you exposed to major financial risks if you are not properly covered. Cheap auto insurance is a bad idea, especially if you don’t get expert advice on what you need coverage. Key factors such as your demographic, your vehicle, your driving habits, and other risk factors can have a major impact on what kind of — and how much — coverage you need to have. Saving five hundred dollars on cheap auto insurance can expose you to thousands, possibly millions, of dollars in liability and expenses. What’s the best way to ensure that you’re properly insured? Work with an auto insurance expert, such as the insurance pros here at Keating Agency Insurance. Instead of simply serving up cheap auto insurance, they’ll work hard to find you the best possible coverage at the best possible price to fit your specific needs. Don’t be caught underinsured with cheap auto insurance. The Keating Agency Insurance professionals will make sure your policy does the job for the best value. Episode No. 32: Experience We-Ha Podcast with KC Ward – Flora and Rooster Co. Thank you for your interest in submitting an event to Keating Insurance. Please fill out the form below and we'll do the best to feature your event on our site.